There are actually two Mummy Mountains near Estes Park. Mummy Mountain lies north of Estes, and is known for having a silhouette of a sleeping mummy. The Mummy Range is NE and has a collection of 13,000 foot peaks. The bouldering/climbing on Mummy Mountain is awesome! What can I do at Mummy Mountain? Hiking: Start at Lumpy Ridge Trailhead in the northeast corner of Rocky Mountain National Park (head north on US 34 and turn right on MacGregor Ave). Gem Lake is extremely popular. It’s a moderate 1.6-mile hike through evergreen tress and gorgeous rock formations. Bouldering/Climbing: Climbers are always scouting for a new route up these granite faces! Start your escapade at Lumpy Ridge Trailhead or hire a guide to show you the ropes. Camping: Camp high in the alpine tundra or low in the aspens. There are some nice camping spots up Cow Creek Trail. On a map, Lumpy Ridge is the range locally known as Mummy Mountain. It is along the NE boundary of Rocky Mountain National Park. You will see it on your right as you drive in on US 36. When is Mummy Mountain accessible? While trails on the Mummy Mountain are open year-round, they may close due to bad trail conditions and are not typically used for winter sports. What does it cost to explore the Mummy Range? The Mummy Range is technically part of the park, but it is free to hike! What can I see and do within the Mummy Range? Mummy Mountain is not to be confused with Mummy Range, which is another stretch of mountains located inside Rocky Mountain National Park. Mummy Range is not nearly as popular, but does offer adventures. Hiking: Start at Lawn Lake Trailhead and hike 6.2 miles to Lawn Lake, or to one of the many 13ers that make up Mummy Range. Mummy Mania: Hit all the peaks of the Mummy Range at once. Start with Chapin and scurry NE to Chiquita, Ypsilon, Fairchild, Hagues, and Mummy Mountain. Leave extremely early! (4am). 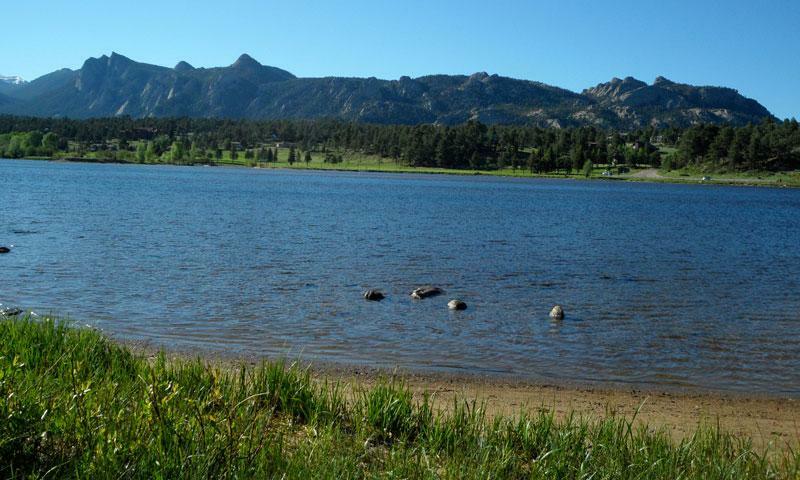 Fishing: Crystal Lake, Ypsilon Lake, and Lawn Lake encircle these mountains and offer catch-and-release fishing. A Colorado fishing license is required. More fishing info. Where is the Mummy Range? Go west on US 34. Enter Rocky Mountain National Park from the Fall River Entrance. When is the Mummy Range accessible? The Mummy Range is open year-round but is safest to explore in the summer season Jul-Oct. If you are looking for cross-country skiing or snowshoeing options, head south of the Mummy Range to Bear Lake. There is a $20 fee to access the park, which allows entrance for seven consecutive days. Check trail and road conditions or call the Park’s information office (970) 586-1206 daily 8am-4:30pm.